A Dan Maples designed course, was opened in 1991. It is set in beautiful countryside and whilst it is surrounded by mountains it also offers some spectacular views of the Mediterranean. The view as you stand on the 15th tee and look out over the valley to the Med. 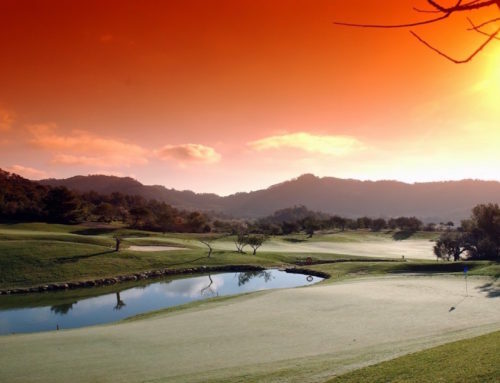 is something special and typifies the attraction of Mallorcan golf courses. The golf course is divided into two halves: The first nine holes are flat with long fairways, while the second nine holes start off with three flat holes before rising into the Artá mountains. There are six artificial lakes and three of these make their presence felt on the 5th, 11th and 18th holes. But it is a course which many regard as the finest and fairest in Mallorca and is a true test for high and low handicap players.